H3 Prolotherapy Treatment Method – The world’s most scientifically curative regenerative injection method, for chronic pain, sports injuries, and arthritis. H3 Prolotherapy is the technique used at Caring Medical Regenerative Medicine Clinics. H3 Prolotherapy is named after the line of doctors who pioneered and continue to advance the most comprehensive injection technique of Prolotherapy: Drs. Hackett, Hemwall, and Hauser. 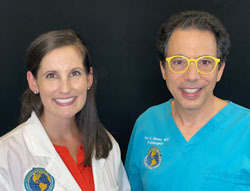 Each physician has made unique and significant contributions with research and clinical results in thousands of cases, starting with George Hackett, MD and Gustav Hemwall in the 1950s through the 1990s, and continuing with Ross Hauser, MD from 1993 through today. This comprehensive Prolotherapy method incorporates the teaching and techniques of doctors George S. Hackett, MD and Gustav A. Hemwall, MD. 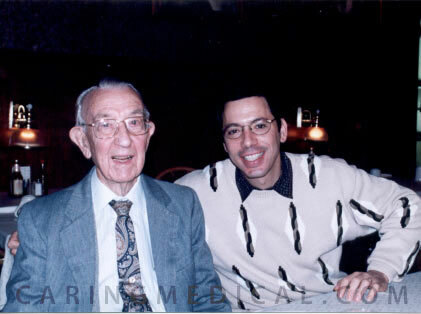 Dr. Hackett was one of the original inventors of the technique, and Dr. Hemwall, one of his first “students,” mastered the technique, expanded its use, and subsequently brought Prolotherapy to other physicians, training many who are practicing today. The Hackett-Hemwall injection technique has been the foundation used by Dr. Hauser and combined with the more recent advancements in solutions, including Platelet Rich Plasma and Stem Cell therapy, as well as Nerve Release injection therapies. George S. Hackett, MD , was a graduate of Cornell Medical School, class of 1916. He was a busy consulting trauma surgeon at Mercy Hospital in Canton, Ohio. He was often called upon for special examinations by approximately 70 accident insurance companies to report accurate diagnoses and prognoses. In 1939 he arrived at the conclusion that relaxation of the articular ligaments was responsible for a considerable number of low back disabilities. Dr. Hackett then coined the term ligament relaxation which he described as a condition in which the strength of the ligament fibers has become impaired so that a stretching of the fibrous strands occurs when the ligament is submitted to normal or less than normal tension. He called a similar situation in tendons, tendon relaxation. He then decided to try strengthening the ligaments by injecting a proliferating solution into the fibrous bands to stimulate the production of fibrous tissue. The treatment proved to be successful from the beginning and it was cautiously extended to articular ligaments of the entire spine, pelvis, and other joints. (1) He then coined the term Prolotherapy, which is the treatment that causes the ligaments and tendons to strengthen and tighten, fine-tuned the technique, and taught it to other physicians. Dr. Hackett then wrote the book Ligament and Tendon Relaxation Treatment by Prolotherapy and this book is still used today by physicians learning the technique of Prolotherapy. The book is available at www.hacketthemwall.org. In another study of 206 traumatic headache patients, Dr. Hackett found that 79% of Prolotherapy patients were completely relieved of their headaches and 89% in total achieved some relief from their headaches. He also performed a large study of back pain patients. He found that about 90% of low back pain patients had evidence of some type of ligament laxity, typically in the sacroiliac joint. One of his studies involved 1,857 patients treated for ligament laxity in the lower back, of which 1583 experienced sacroiliac ligament laxity. His study revealed that 82% were cured of their back pain with Prolotherapy and the pain relief continued 14 years after their last treatment when a follow-up study was done. This was published in the Journal of the American Medical Association in 1957. 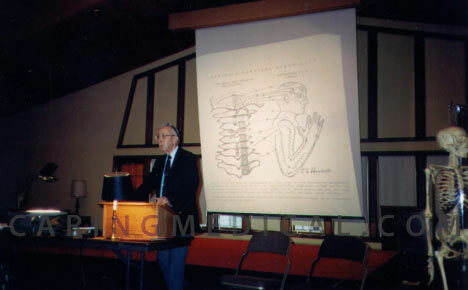 Interestingly enough, here a physician reported that 82% of chronic low back pain was CURED with a simple, in-office, non-surgical injection technique and nobody paid much attention – except one man – Gustav A. Hemwall, MD. Gustav A. Hemwall, MD. 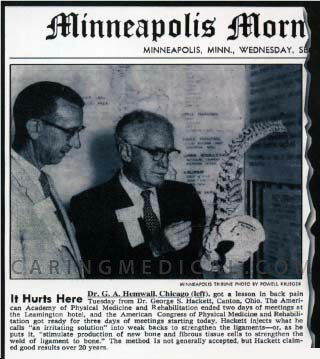 Fortunately for us, Dr. Hemwall met Dr. Hackett at that 1957 AMA meeting and was fascinated with Prolotherapy. Dr. Hemwall observed Dr. Hackett in his office in the 1950s and became an expert Prolotherapy physician. Dr. Hackett passed away at the age of 81 in 1969, but it was Dr. Hemwall who, until his death in 1998, taught the majority of physicians this technique. Dr. Hemwall trained hundreds of physicians at a medical missionary clinic that was held every March in Honduras – and did this for over 35 years. He also held a conference in Wisconsin every October for the many years on the Hackett-Hemwall dextrose Prolotherapy technique. Both of these continue to this day under the direction of the Hackett-Hemwall Foundation. Dr. Hemwall’s discoveries shaped the way we provide Regenerative Medicine treatments to this day. He treated more than 10,000 patients worldwide and reported his clinical experiences in a study on 8,000 of those patients. 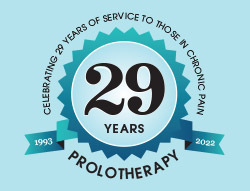 In 1974, Dr. Hemwall presented his largest survey of 2,007 patients to the Prolotherapy Association. More than 99% of the patients who completed treatment found pain relief, which were similar results to those published by Dr. Hackett. He too found that Prolotherapy was completely curative in many cases and provides some pain relief to nearly all. To read more about the cure rates of Drs. Hackett and Hemwall and other contributions to Regenerative Medicine, read Chapter 22 in Prolo Your Pain Away: Curing Chronic Pain with Prolotherapy. Expanded effectiveness at eliminating chronic pain to every joint of the body, not just the spine. Documented it could be performed safely in the office and did not even require conscious sedation (because the original technique was often done in the hospital under anesthesia or conscious sedation). Showed that treatment can be performed on multiple body parts at one time. Discovered that simple dextrose worked great as a proliferant. This was an important discovery because it meant patients could receive treatments to multiple areas at once and did not require sedation, which obviously brought the cost per treatment down. From the late 1960’s until his death in 1998, Dr. Hemwall was the main teacher of Prolotherapy in the world. Dr. Hemwall and his wife Helen led mission trips to Honduras for over 35 years, which provided a great venue for doctors to be trained. Dr. Hemwall set up the Hackett Foundation, which has been renamed The Hackett-Hemwall Foundation and continues to be involved in training physicians around the world, as well as carrying out research. Dr. Hemwall published the largest survey (involving 1871 patients) of which 75.5% stated Prolotherapy cured them and 99.8% reported some improvement. Only 0.2% reported no improvement. Dr. Hemwall defended Prolotherapy three times before the Chicago Medical Society, one of the largest branches of the American Medical Association. Each time it was found to be an acceptable procedure that should be covered by insurance. Dr. Hemwall treated his good friend C. Everett Koop, MD with Prolotherapy. Dr. Koop subsequently became Surgeon General of the United States and continued to defend Prolotherapy because it helped get rid of his intractable pain. Dr. Hemwall trained the late Jeff Patterson, DO who carried on the Hackett-Hemwall Foundation for many years: training physicians in not only Honduras, but other countries as well. The foundation continues to be one of the primary Prolotherapy training organizations. Dr. Hemwall trained K. Dean Reeves, MD, who has published numerous studies on the treatment and is one of Prolotherapy’s most talented researchers. 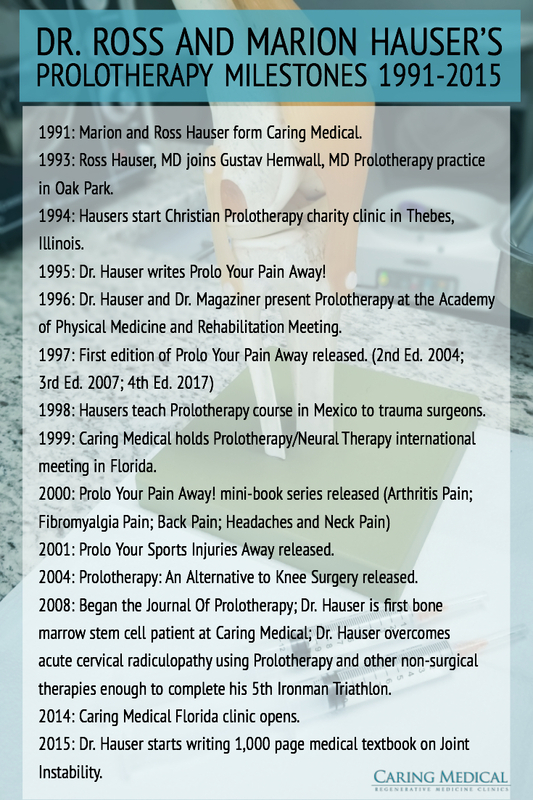 Dr. Hemwall trained Ross Hauser, MD, who resumed Dr. Hemwall’s practice and subsequently wrote Prolo Your Pain Away! with Marion Hauser, which was dedicated to Dr. Hemwall, who was able to see the book prior to his death. Dr. Hackett taught the technique to Gustav A. Hemwall, MD. Dr. Hemwall brought it to the Chicagoland – Oak Park, IL area. At the age of 83, Dr. Hemwall hired Dr. Hauser. Dr. Hauser had the opportunity to work side-by-side with Dr. Hemwall for five years. What a blessing and an honor! Upon his retirement in 1993, Dr. Hauser took over his practice. One of Dr. Hemwall’s favorite things to say was, “If the area has pain, inject it!” Simple. 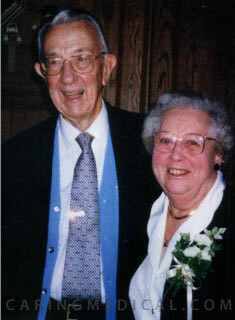 Dr. Hemwall retired at the age of 88 in 1996 and subsequently passed away at the age of 90 in 1998. We certainly miss him but are privileged to carry on his legacy. We all owe a great debt to these pioneers whose contributions to the field of pain and Regenerative Medicine have been monumental. They have changed the face of pain management – to pain treatment and pain cure! Thus, we strive to carry on the work that they so humbly and honorably began. 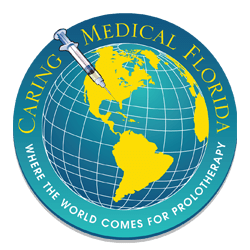 Read Ross Hauser and Caring Medical’s Prolotherapy results and clinical studies in our research section. Learn more about our clinics and H3 Prolotherapy providers. Talk to our team to see if you are an H3 Prolotherapy candidate. 1 Hauser, R. et al Prolo Your Pain Away! 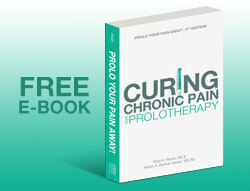 Curing Chronic Pain with Prolotherapy. Oak Park, IL. Beulah Land Press. 2007. 2 Hackett, G. Ligament and Tendon Relaxation Treated By Prolotherapy. Third Edition. Springfield, IL: Charles C. Thomas, 1958.